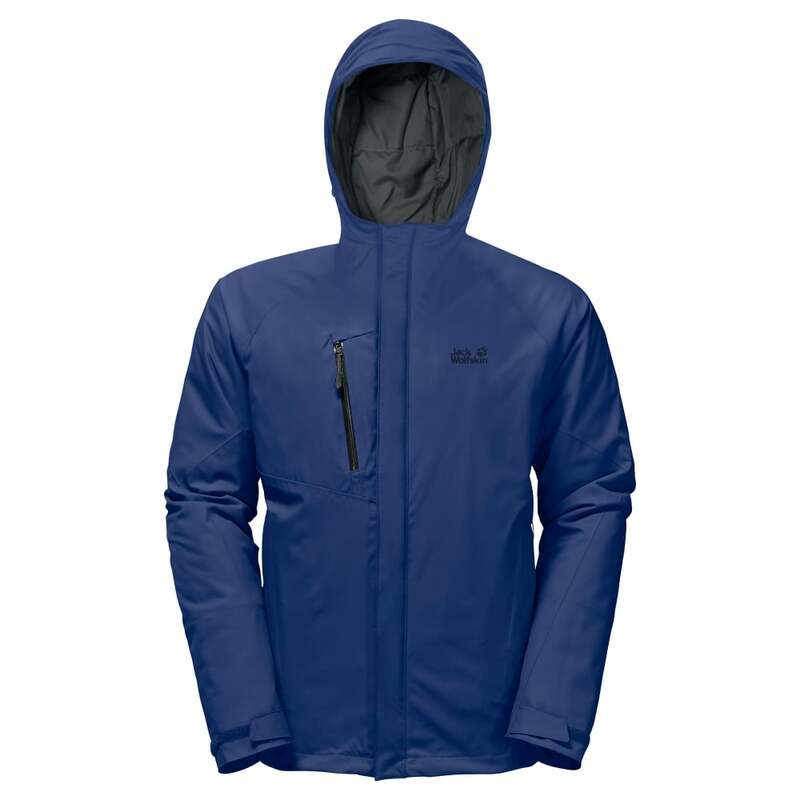 The Jack Wolfskin Troposphere DF O2+ Insulated Jacket is a waterproof and insulated winter jacket designed to provide the highest levels of weatherproof protection and insulating performance. The outer fabric is Texapore O2+ 2L fabric, a waterproof, windproof and highly breathable weatherproof fabric that easily allows moisture vapour to escape, ensuring you stay dry and comfortable in all conditions. The jacket is insulted with a combination of Microguard synthetic insulation and Downfiber insulation for maximum warmth and versatility. Downfiber insulation consists of 70% impregnated duck down and 30% warm and fast drying synthetic loose fibrefill insulation, providing a low weight insulation with excellent heat retention. Features of the Troposphere Jacket include an attached adjustable hood with storm peak, underarm ventilation zips allowing for variable temperature control, a headphone cable port and fleece cuffs. For storage there are 2 side pockets, a chest pocket and an inside pockets.